The project began as a successful pilot in Puerto Rico during the fourth quarter of 2016, in the areas of pricing and operations. Global fuel company Puma Energy, a provider of jet fuel and aviation gasoline in the Americas, announced the launching of “eAviation,” a digital solution that can handle the aviation industry’s high requirements more efficiently and accurately. Aware of the global nature of business aviation and the need to digitize its processes, the company implemented an innovative electronic solution that supports the business goals of airlines and airport operations, adding value and efficiency to their customers. “eAviation” provides great benefits to the areas of order to cash, prices, contracts, procurement and operations by minimizing manual processes, reducing billing errors and speeding delivery time of fuel at the airport through the use of tablets, the company said. The project began as a successful pilot in Puerto Rico during the fourth quarter of 2016, in the areas of pricing and operations. A specialized team of regional and global aviation and technical area of IT from Puma Energy Puerto Rico participated in its implementation. In a future phase of development, the program will serve as a commercial tool in the area of contracts and tenders, which will facilitate decision-making and further enhance controls over the same processes, the company said. The novel solution of latest technology has been available to the rest of Puma Energy operations in the Americas since March. 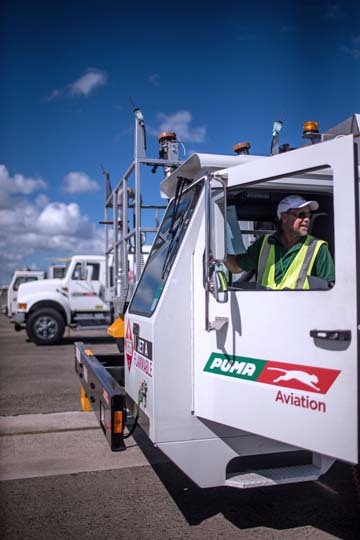 Puma Energy has presence in nine international airports in the Americas and supplies some of the most important commercial airline as LATAM, Avianca, Copa, Iberia, Southwest, Delta, United Airlines and American Airlines, among others. Hey Buddy!, I found this information for you: "Puma Energy upgrades aviation fueling processes". Here is the website link: https://newsismybusiness.com/upgrades-aviation-processes/. Thank you.